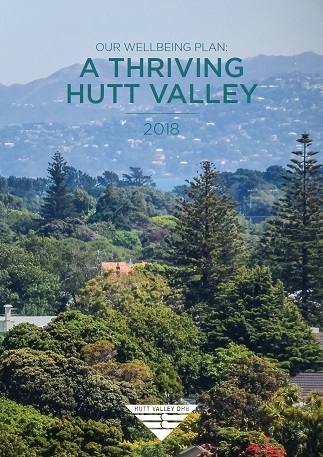 Hutt Valley DHB has published its Wellbeing Plan, outlining how it intends to make its vision of ‘Healthy People, Healthy Families, Healthy Communities’ a reality. It was developed in close partnership with our key stakeholders including Councils, Regional Public Health, the PHO, Māori health providers and other stakeholders. Our Wellbeing Plan: A Thriving Hutt Valley, 2018 sets out how the DHB will work with other organisations to improve health outcomes for the people of Hutt Valley. The plan recognises that clinical services alone will not achieve sustainable better health for everyone. Many of the things that affect health are controlled or influenced by other organisations or factors which the best healthcare facilities in the world will not change. These include things like housing, healthy eating, alcohol and tobacco, employment and income. As one of the Hutt Valley’s largest employers, however, the DHB can do a lot by practising what it preaches and doing everything it can to improve the wellbeing of its own employees. This means things like providing healthy food choices, supporting staff to become tobacco free, or becoming a Living Wage employer.